I had some mechanical problems with my track car in the early days which, had they not been caught, might have been deadly on the track. My wake up call was the event where the rear drive shaft bolts came loose and I lost the connection of the CV joint to the rear hub. This only resulted in the car coming to a rest on the side of the track and the Tow of Shame. But it could have been something much worse. I now strive to be vigilant regarding the condition of the car. All of the organizations that put on High Performance Driving Events require some sort of pre-event Tech Inspection. This is for our collective own good. In particular, cars driven on the street may not be up for the rigors of a track environment due to the wear and tear of daily use. And in case of a dedicated track car that is not legal to drive on the street, you don’t want to find out you have a major problem early in the weekend and loose valuable track time. So either way, a pre-event Tech Inspection is a good idea. Tech Inspection forms for the various organizing groups have much in common. Here is one for the PCA. There are common themes for all tech inspections: Track events place high demands on brakes, tires, steering, suspension components, and drivetrains. It is also important that safety components be in good shape and that there be no loose items to flop around due to high cornering loads. No fluids can be leaking from the car that will make the track slick for others. Mirrors must be in good shape because, let’s face it, you’re probably not going to be the fastest person on track. 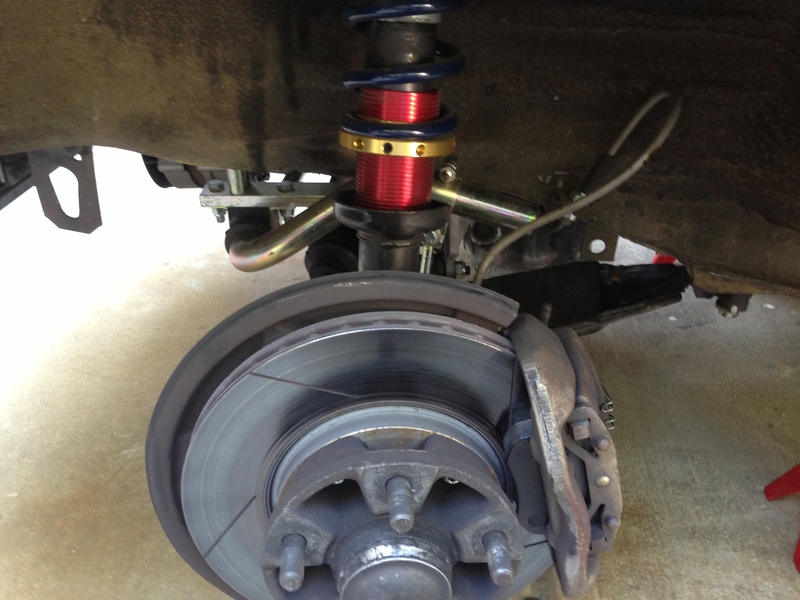 One thing I did early on to my track car was to replace every critical suspension nut with the self-locking variety. Nylon type lock nuts are OK in general. Really hot locations need metal lock nuts. I was able to source a good variety of metric locking nuts from McMaster-Carr. But what really holds nuts in place is the torque applied to them. As I torque each nut to factory specs, I mark them with a white marker. In this way, if they start to loosen I can spot this immediately. I generally check all suspension hardware at the end of each track day. A special case was the CV joint hardware on the rear drive wheels. I went with the Stage 8 locking kit on these. This is a trick system that not only securely locks the bolts but gives you a clear visual indication if anything is coming loose. See the kit available from Ideola Garage. 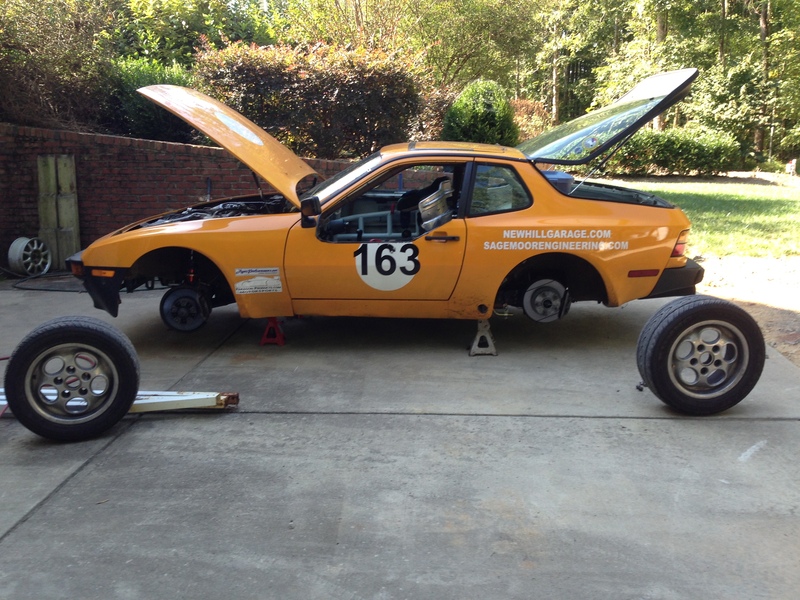 So after a track event I like to put the car on a lift or jack stands and remove the tires/wheels. This allows me to do a visual inspection on the most important items, the wheels and brakes. But before you remove the wheels, turn each tire slowly and check the entire circumference of each tire for damage or unusual wear. Sight the edge of the wheel against a reference point and check for bent rims. With the tires removed, I check brake pad thickness, the condition of the rotors, the hubs for any looseness, and all the critical suspension hardware. The rotors cannot have cracks. Right after you do some work be especially vigilant. For instance, a short while after I installed my new sway bars, one of the drop links came loose. I spotted this at the end of a track day Saturday and was able to bring the necessary repair hardware with me Sunday morning to do the repair. I know you can be worn out at the end of the track day but these inspections are important. 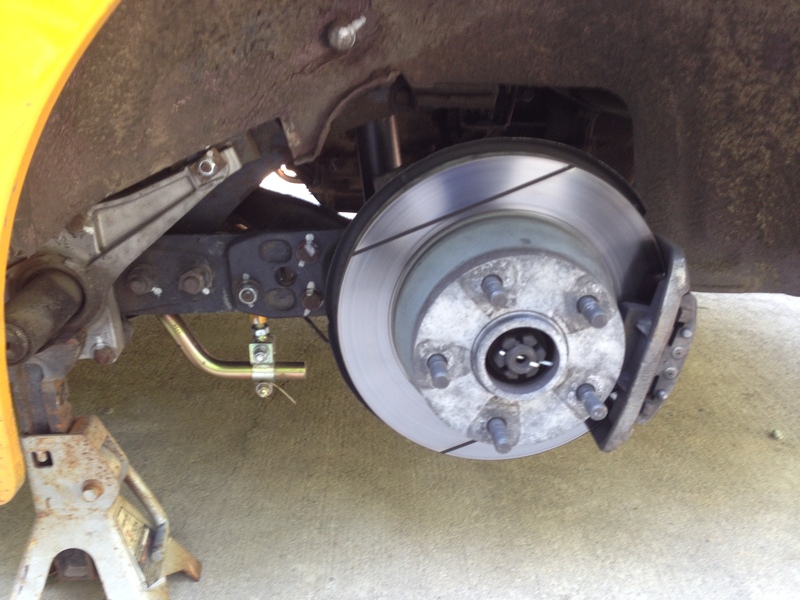 As you check each wheel, hub, and brake caliper you can look under the car for signs of anything that is amiss. You want to “challenge” the front and rear suspension to search for any slop in ball joints, steering tie rods, suspension bushings, etc. Worn items must be repaired prior to going on the track. A strong twist applied to the tires before you remove them will help identify excessive play in the hubs and wheel bearings. A large pair of slip-joint pliers is also good for squeezing ball joints and tie rod ends for signs of play. These checks of the wheels, tires, brake pads, and suspension components are really the most important part of your inspection. Next move on to a general inspection of the undercarriage, looking for damage that may have resulted from hitting loose objects on the track (or fixed objects when you drive off the track!). 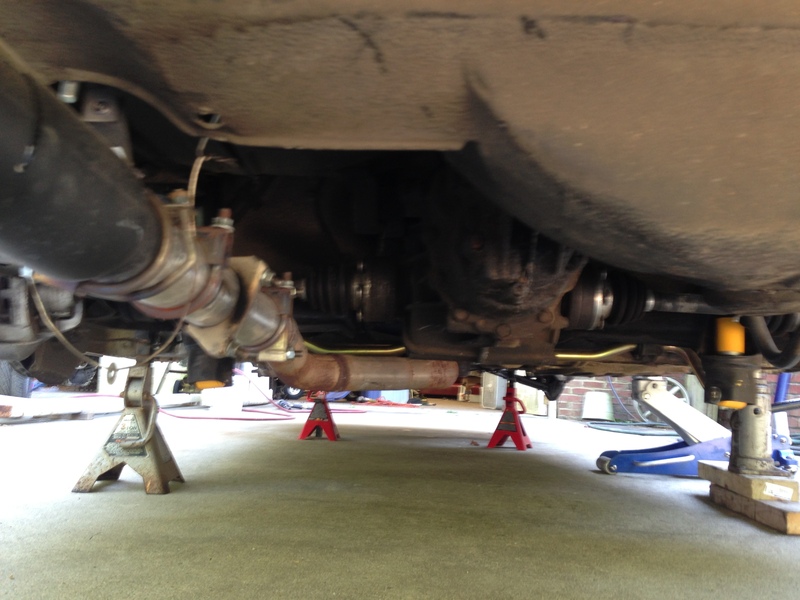 Check the engine, transmission, and rear differential for leaks. Make sure your exhaust system is in good condition and not getting to jettison itself the first time you hit the gators on the edge of the track. Next move on to the engine compartment. 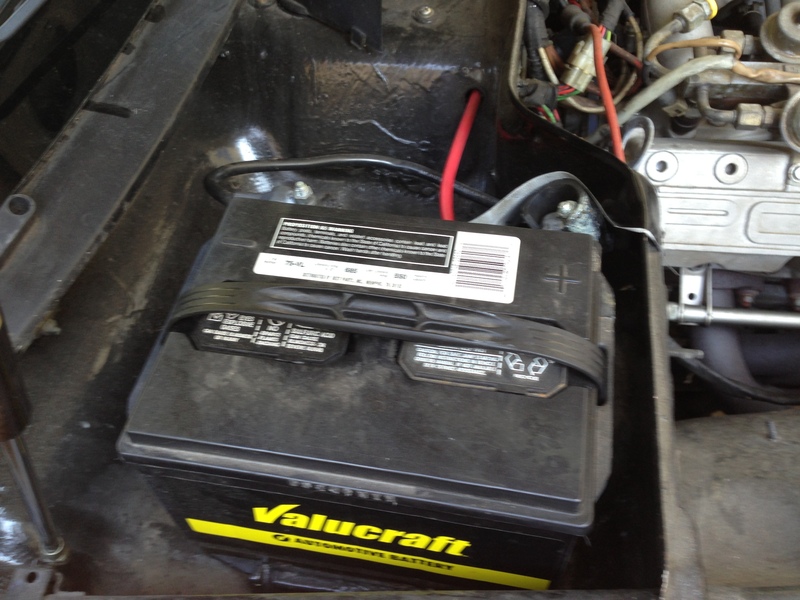 Check to make sure your battery is secure. As you become familiar with your engine, you will start to notice if something isn’t quite right. Something as simple as the oil dipstick not being fully inserted in its tube can cause your engine to be off. Check the front of your radiator and clean it out if necessary. If you really want to be in for a surprise, open up your air filter housing. I will guarantee you that after some serious track time, the inlet to your air filter will be full of small bits of tire rubber. Check your throttle linkage for smooth operation. It’s time to talk about fluids. If your car is due for an oil change, now is the time. Clean fresh oil is cheap insurance prior to a track event. 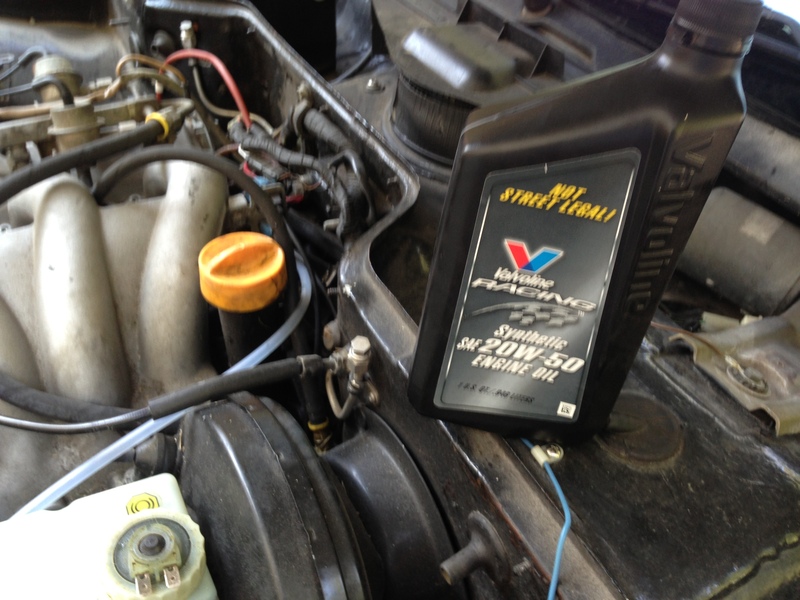 Check to make sure your radiator coolant is at the proper level. And oh, if you have to add coolant you had better find out now where it went. Small coolant leaks can become large ones under the rigors of a track weekend. Most of the auto parts stores loan tools. Borrow a tester, which is a hand pump that you attach at your radiator cap and use to pressurize the system. Under 10 psi of pressure, most small leaks will show themselves. Most groups prefer that your brake fluid be changed 30 to 90 days before a track event. This is because brake fluid is hygroscopic, which means it will absorb water vapor from the air. Your brake fluid reservoir is not a closed system. It wouldn’t operate properly if it was. 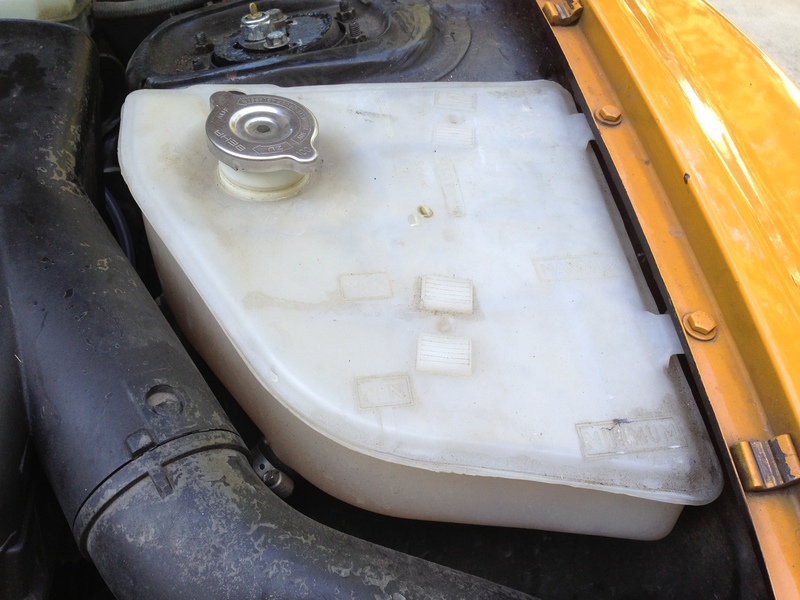 As a consequence, the brake fluid gradually absorbs water. This is not necessarily a problem for every day driving but in the high heat environment of a track event, any water in the calipers near the hot brake discs may flash to steam. When this happens, braking effectiveness can suddenly disappear. Not a good thing! So fresh fluid ensures that there is no water or air bubbles in your braking system. 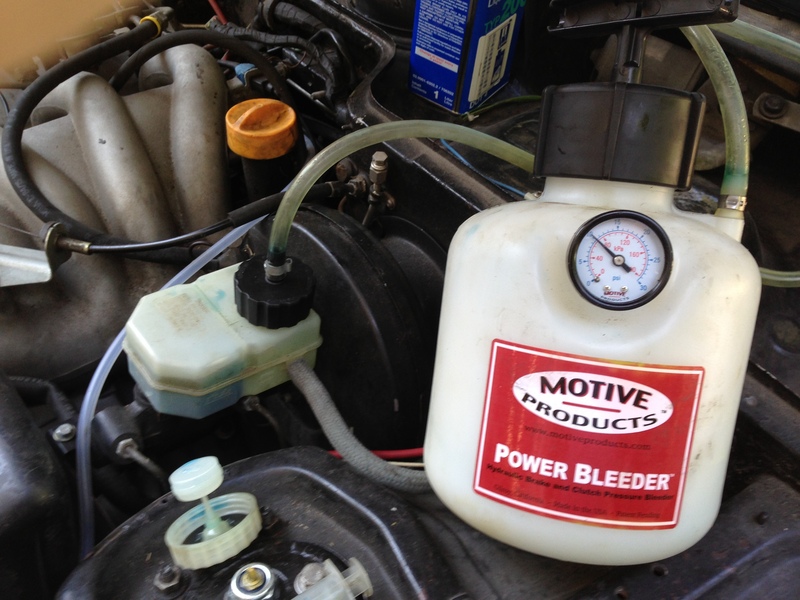 I like to use my Motive Products power bleeder. It allows you to bleed your brakes by yourself. And it is superior at pushing air bubbles through the lines and out of the bleeders. BTW, I also like to use Speed Bleeders, which are a bleed screw with a little check valve. These ensure that no air bubbles are sucked back into the calipers. You’re about done with your Tech Inspection. Move on the the car interior. Check the feel of the brake pedal after your brake fluid change. It should be firm. Also check to make sure your brake lights are working. You will be black flagged if they don’t. Cycle your steering wheel through its range of motion to be sure it is smooth. Check the condition of your seat belts. Any significant cracks in your windshield may keep you off the track. Your mirrors need to be in good shape. Check your gas cap to make sure it is there and secure. 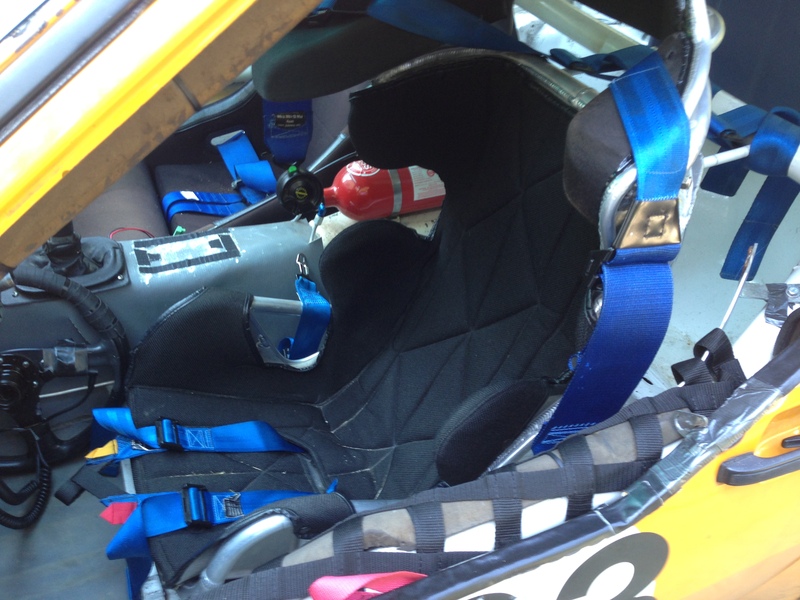 If you have a full on track car there are special checks required for your roll bars, roll bar padding, seats, harnesses, fire system, and electrical cutoff. But by the time you get a full on track car, this will all be old hat for you, right? But even for your street car, it is always wise to have a portable fire extinguisher on board. Well secured, of course. Finally, re-install your tires/wheels, torque the lug nuts to spec, and check the air pressure. This is a good time to rotate your tires. In general, as most road courses run clockwise, the drivers side tires will see more wear. So that is the essence of a Tech Inspection. Take is seriously. Your life may depend on it!